I wonder if every family is the same… One week my kids can’t eat enough bananas. The next week, they’re not at all interested. 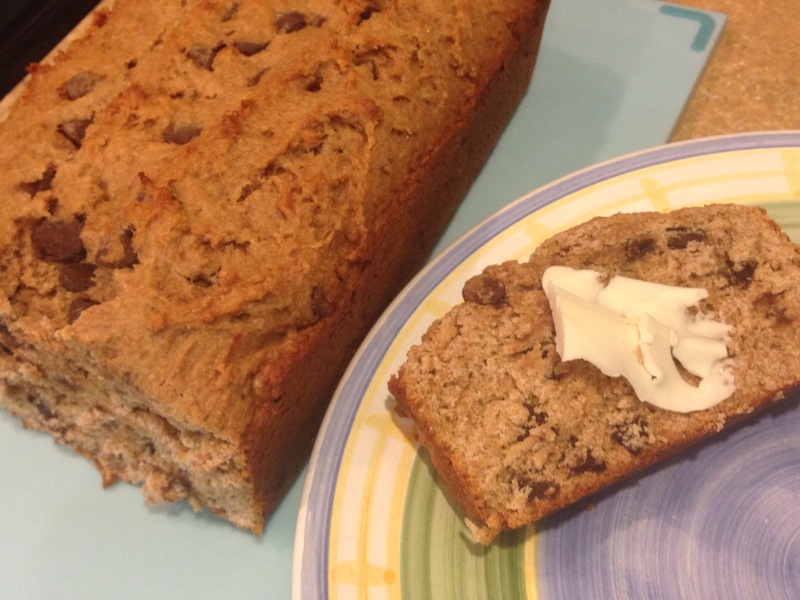 So we cycle between having an empty fruit bowl and having overripe bananas. 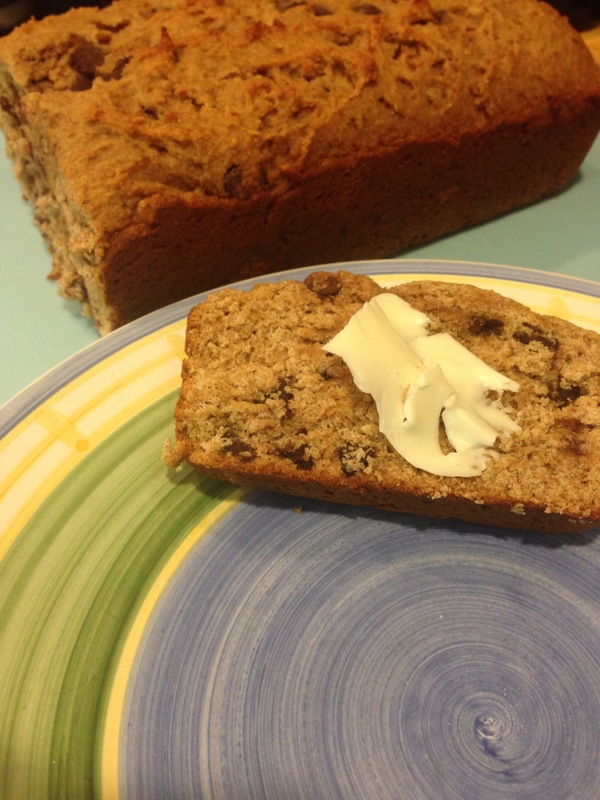 I omitted the nuts often called for in banana bread recipes and adapted this particular one to be egg and dairy-free. I already can’t wait for breakfast! 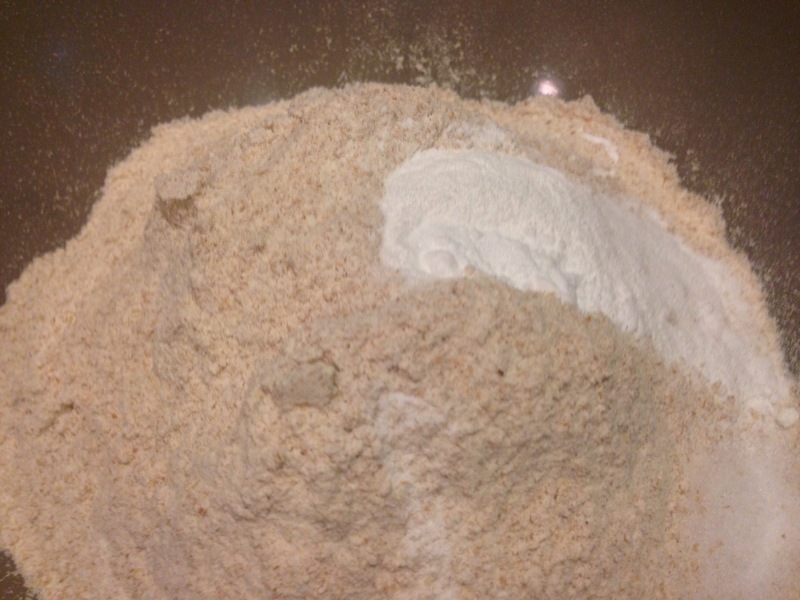 Combine flour, baking powder, baking soda, and salt in a small bowl. In a large bowl, cream together sugar and butter (or shortening) for approximately 5 minutes (note: mixture does not get smooth). Add dry mixture little by little to creamed butter and sugar, alternating with mashed bananas and beating after each addition. Stir in approximately safe chocolate chips with a spoon. The batter will be fairly thick. 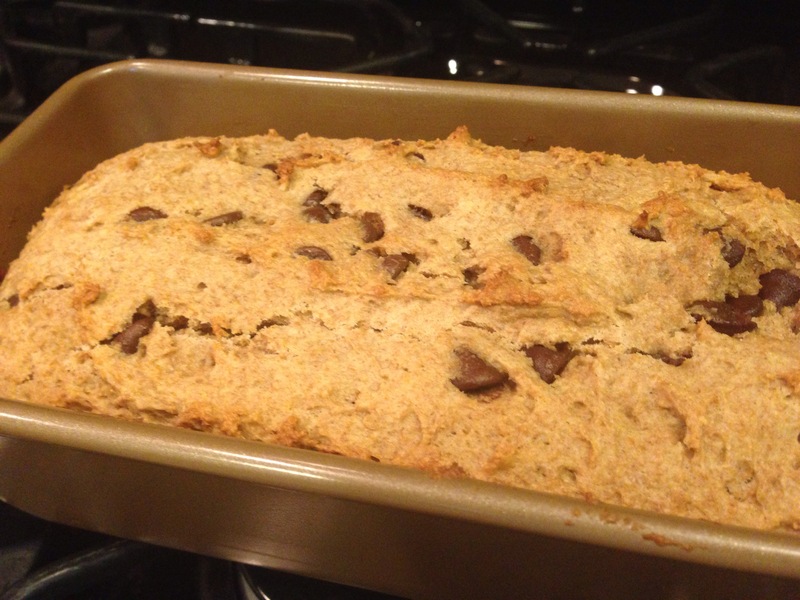 Grease 9″ x 5″ x 3″ loaf pan. Spoon batter into pan and bake at 350F for approximately 40 minutes or until toothpick can be inserted/removed cleanly from thickest point in bread. Cool in pan for 10 minutes before removing to wire rack. 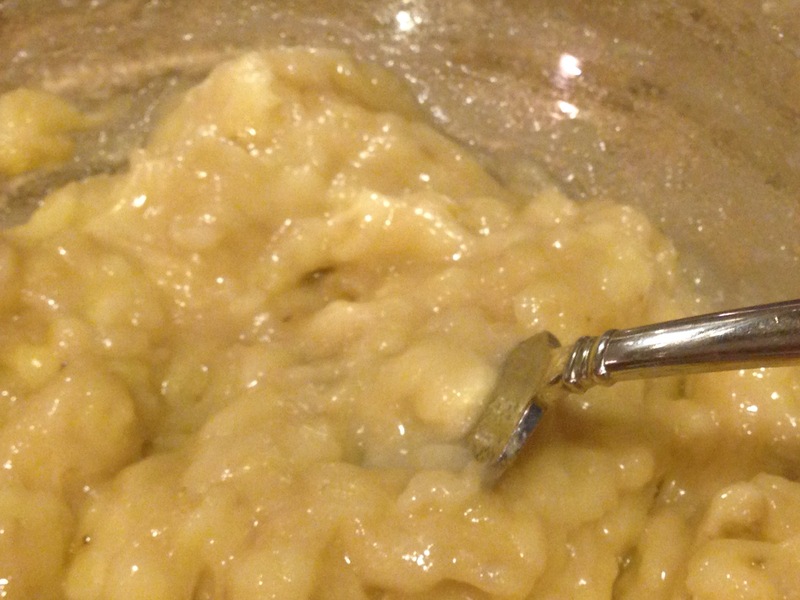 Mashed bananas (does anyone else hear The Wiggles song when you read that?!). Looks gooey now, but this is flavor gold! Can you smell it? To ensure you have a moist – but not undercooked – bread, check it with a toothpick. Cool in pan for 10 minutes before moving to wire rack. I had to snap this quickly. 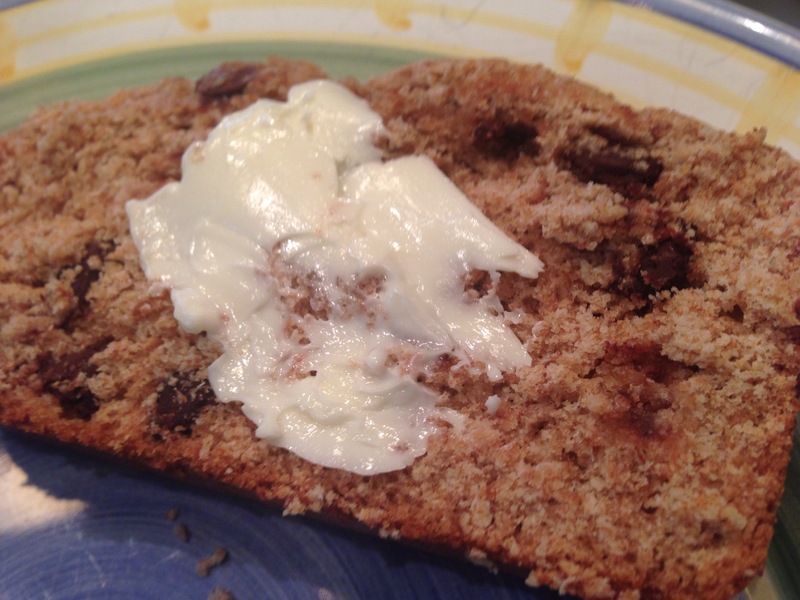 That butter was melting fast against the warm chocolate chip bread. And, the sweet banana smell was intoxicating!